We would all agree that there is something quite appealing and refreshing about a custom designed kitchen. Not only does it allow you to express your personal taste and style, but it also adds charm, style and value to your home. Choosing the style you want for your kitchen remodeling can be a bit of a challenge. 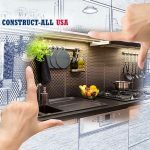 From classic and rustic to contemporary Nashville kitchen designs, the professionals here at Construct All-USA stand ready to assist you with all your decision making. Our team will help create and design the ideal kitchen style to appropriately match both your home décor and personality. For those of you who are looking to create a new kitchen with a unique contemporary look, our expert designers, consultants and specialists can certainly help. Our highly skilled consultants and designers are on hand to help you choose the perfect layout, design and all the extras for your newly customized kitchen. From tiles that add a sense of drama, backsplashes and countertops, to stainless steel or outstanding white to add to the décor of your contemporary kitchen, our designers stand ready to serve you. Further, uniquely designed cabinets will bring new life to your kitchen while attractive shelving allows you to display dishware, ceramics or even pottery. 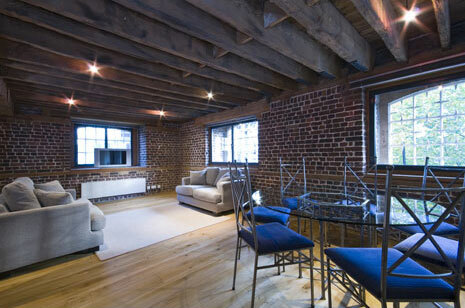 Whatever your style, colors or materials, we are the team for you. Open weekdays, Monday through Friday, from 8:00 am to 5:00 pm, our certified and licensed technicians, consultants and designers are on hand to provide you with all your home improvement needs. We take tremendous pride in our premier Nashville kitchen designs and look forward to creating the perfect contemporary kitchen for your home. There is truly no project too big or too small for our teams. Proudly serving the Murfreesboro and Middle Tennessee areas, we remain steadfast in maintaining our marketplace presence and our superior customer satisfaction rating. 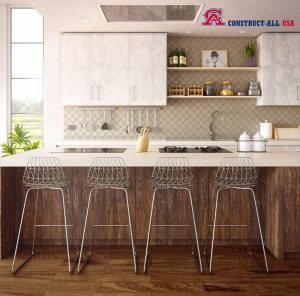 Whether you are in the market for our award-winning Nashville kitchen designs or any of our many other products or services, rest assured you can rely upon our reputation, integrity and performance excellence for all your home improvement projects. Why not take time out now to contact our professional team and schedule your free consultation at (615) 645-1421? 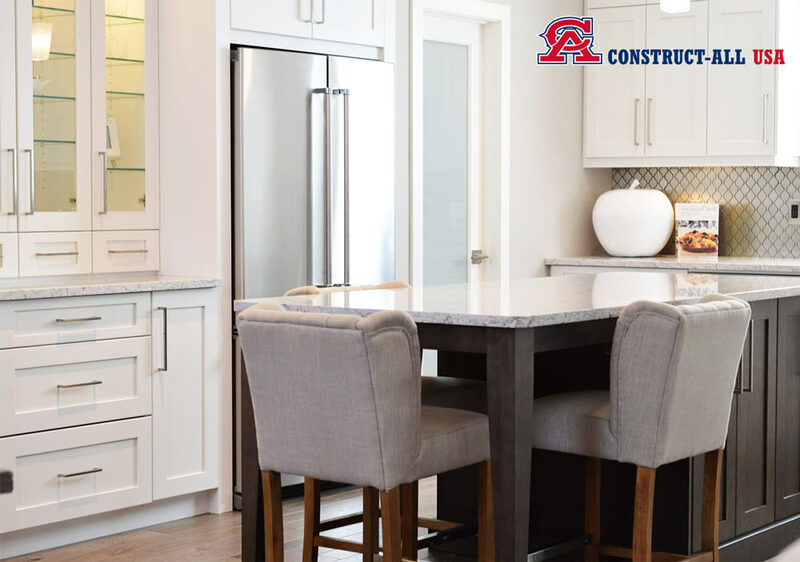 We look forward to serving you and to adding to the overall look, appeal and value of your home with an elegantly designed kitchen from the experts here at Construct-All USA. Don’t delay. Contact our designers today! !